The well-known dron’s manufacturer DJI introduced his new drone under the name Spark and described it as the the smallest, the smartest and the simplest drone in the world. Spark is full of useful functions, and one of its main advantages is its size – which does not exceed the size of the palm of your hand. This drone can fly off the palm of the user’s hand, and his movements can be controlled by hand movement without using your smartphone. So, after taking the Spark, you will go to the Gesture Mode where you can tell him where to move. Creating a square with your fingers will give you a command to shoot the photo and gestures over the user’s head will call it back. If you want to send dron a bit further than you just connect the drone to your smartphone. Despite its smaller size, Spark has functions that were only available to the premium DJI model, Phantom 4. So that Active Track is available, which combines the autonomous avoidance of obstacles and tracking objects. Another advanced feature is TapFly, which lets you sketch the flight route over the map displayed on the smartphone screen, and it will, like Active Track, avoid obstacles. After a potential loss of signal, the drone returns to the position it has taken off. Multiple modes of flight and recording are available, including QuickShot, Dronie, Circle and Helix. For example, QuickShot can “lock” a subject and track it around for about a minute and convert video to a 10-second-long video that you can share on social networks. The battery could be described as the weakest feature of Spark. The drone can remain in the air for only 16 minutes, so potential customers may opt for additional equipment or spare battery. Its maximum speed is 50 km h, and the flight distance is up to 2 kilometers. 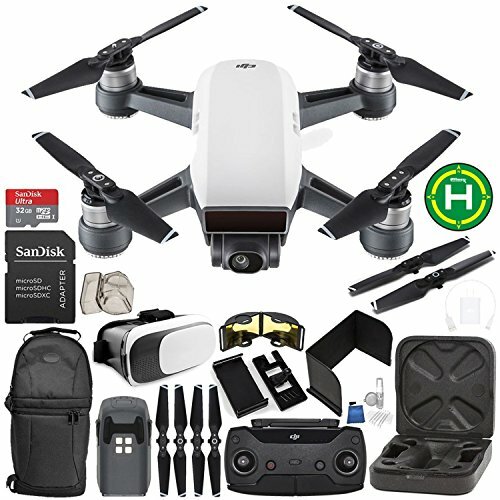 The jump between the Spark, and a cheaper (under 300 dollars) quad is huge. Dont be stingy, spend the extra money and get the DJI Spark instead. You can check the current price on Amazon here. Spark uses a 12 MP camera with the ability to capture 1080p resolution video at 30fps. It also uses mechanical stabilization, GPS GLONASS sensor and a 3D deep-sealing system and visual positioning systems that can detect objects and environments at a distance of 5 to 30 meters. The DJI Spark is compact and weighs only 300 grams. The DJI Spark is available right now on Amazon. Shipped in multiple colors, including celestial blue, metallic green, alpine white and lava red. The best indicator that this is a cheaper model is the amount of accessories Spark comes with. In the box there is no shielding protection, although it is comforting that Spark comes with 6 propellers, that is 2 spare. Charger, microUSB cable, battery and transfer box are standard, while additional batteries and a special remote control need to be added. 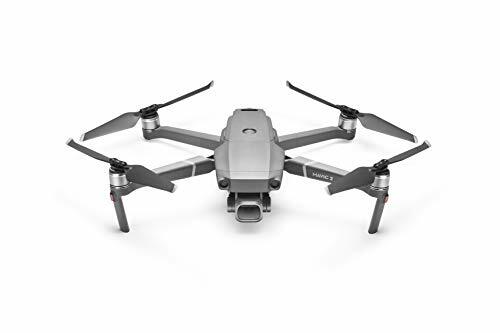 This is the best drone if you want something more professional at a cheaper price, because this drone has everything as DJI’s larger models but it is considerably cheaper, because DJI Phantom 4 costs almost twice the Spark price. You can find the DJI Spark in our top drones under 500$ review.